Handmade in Yorkshire. Professional player quality chosen by our Managing Director at an affordable price. 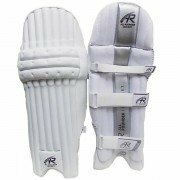 With cricket equipment prices rising year on year All Rounder have researched, developed and tested a equipment that not only offers professional player quality but aesthetically competes with anything on the market. 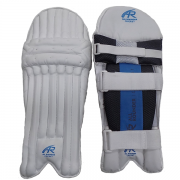 It is already the envy of some of the major cricket bat brands and the competitive price allows ambitious cricketers to purchase bat, pads and gloves at the same price as a branded bat equivalent costs without the pads and gloves. Outstanding value for money for cricketers not requiring a major brand.